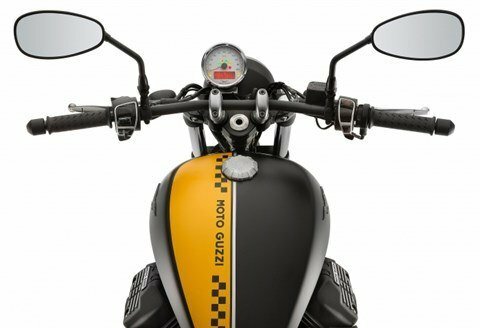 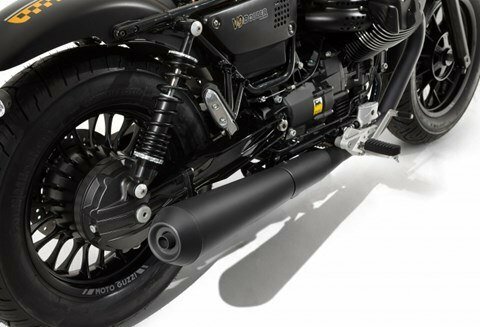 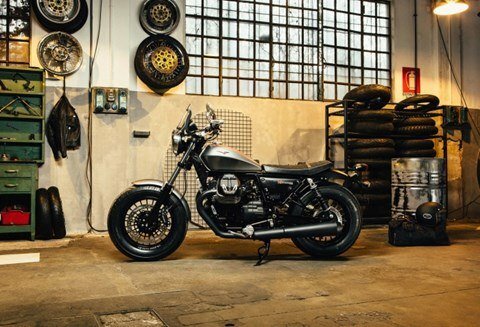 The name V9 Bobber evokes concepts such as essentiality of line, purity of design and thus a certain original sportiness, underlined by a total matt black look. 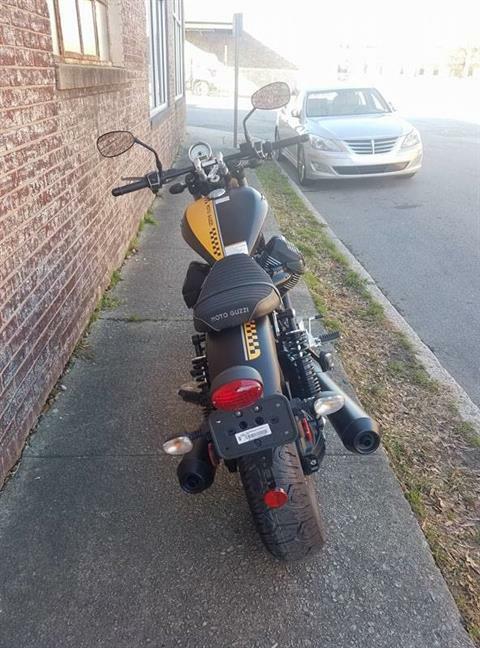 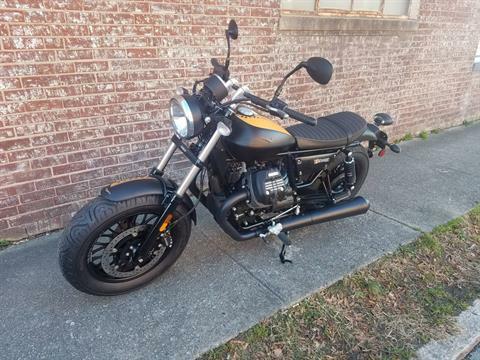 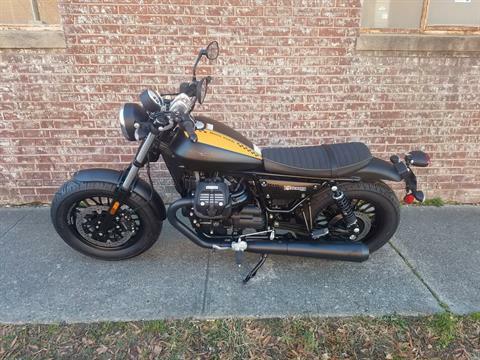 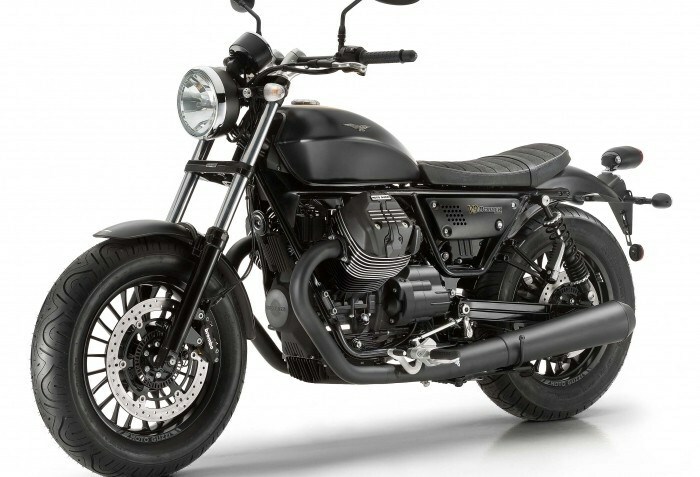 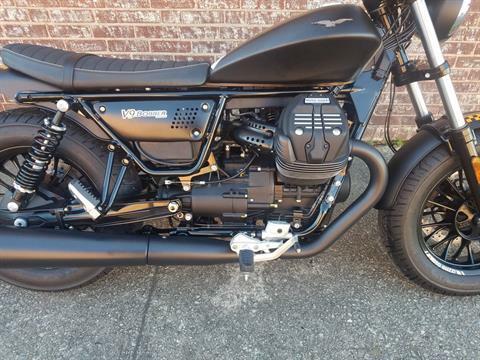 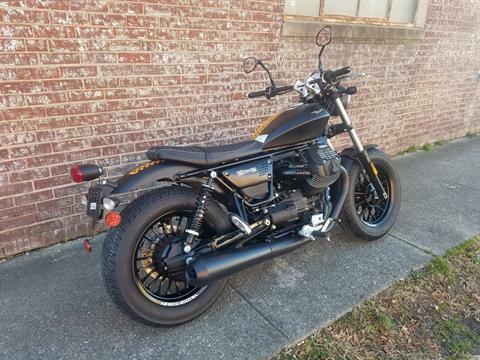 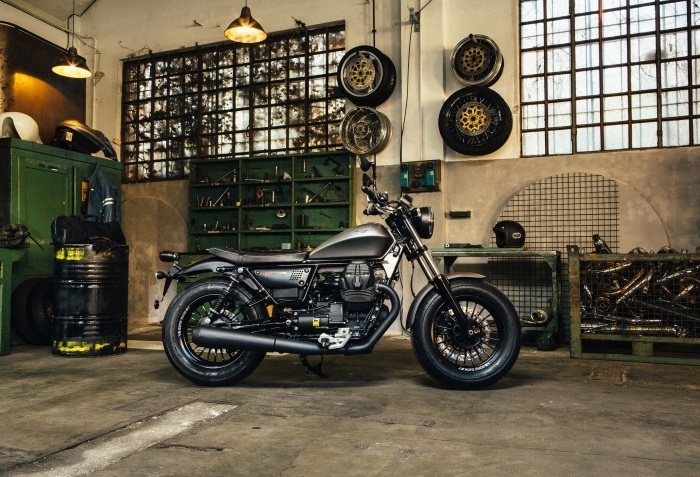 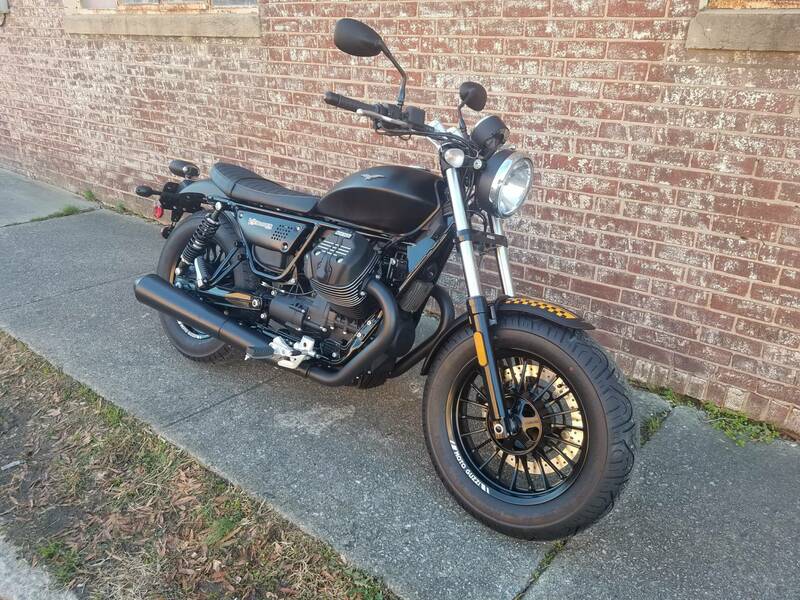 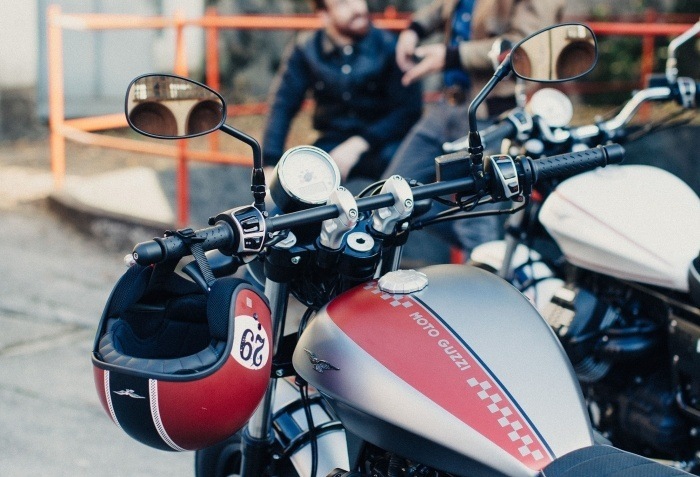 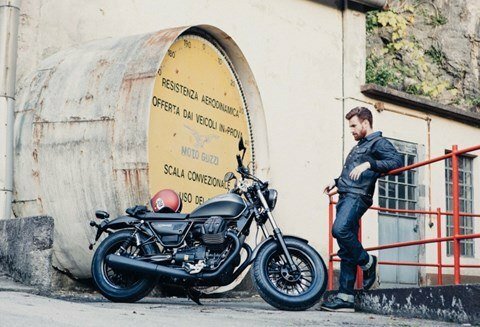 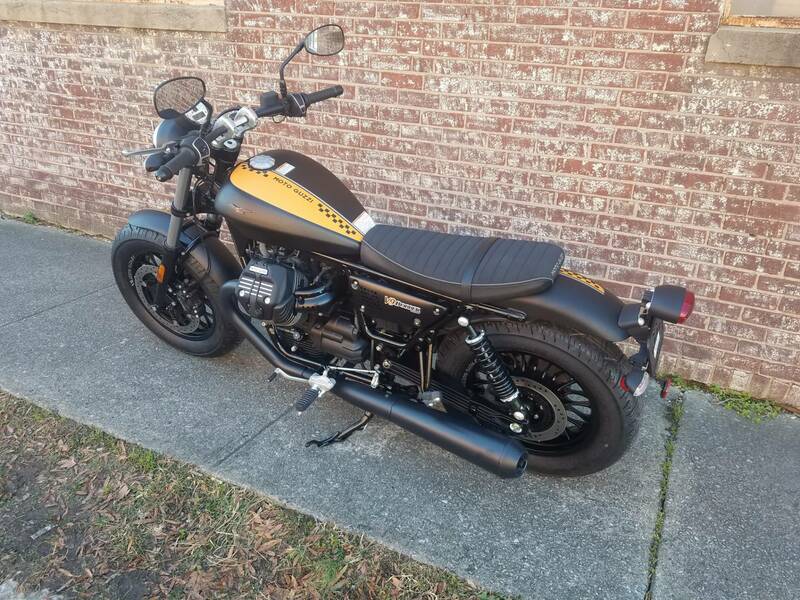 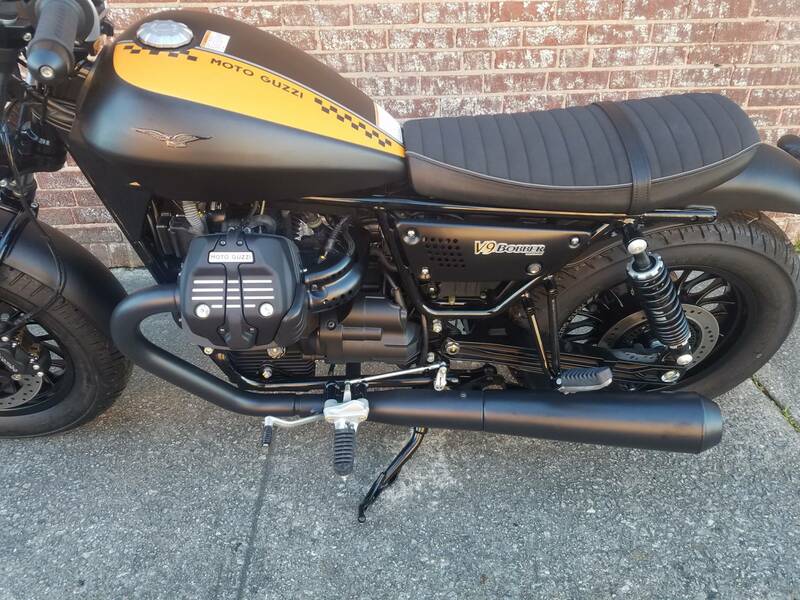 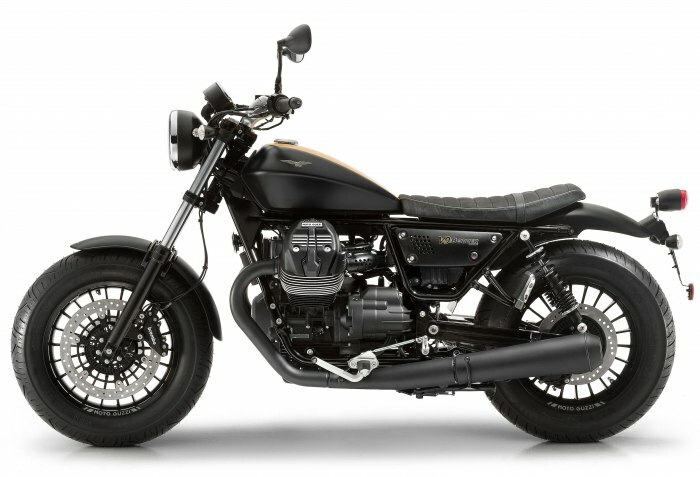 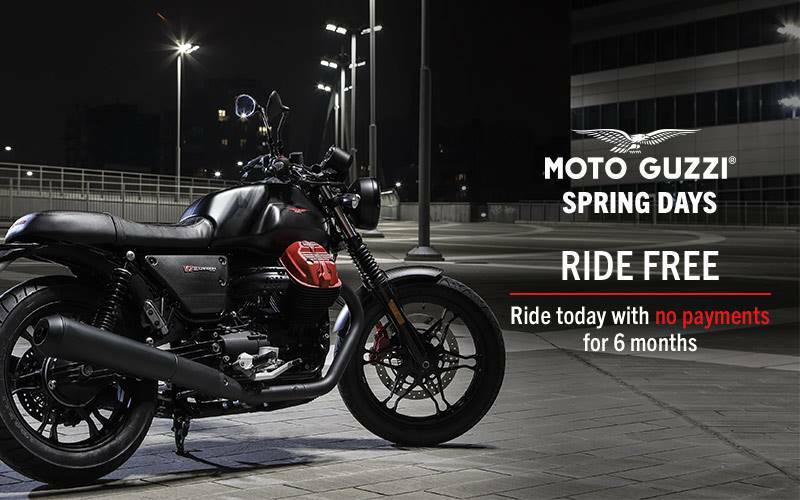 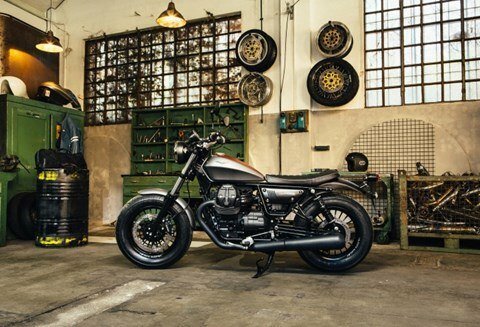 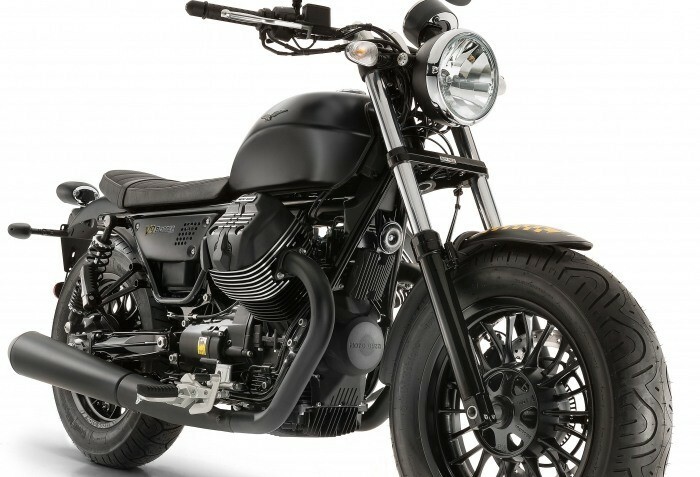 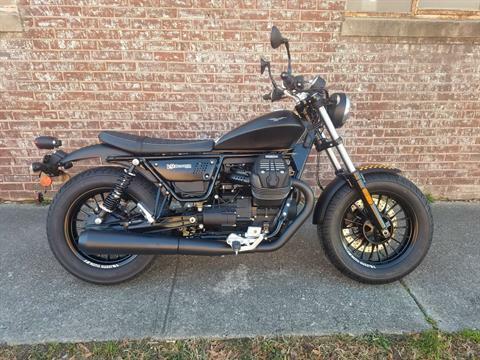 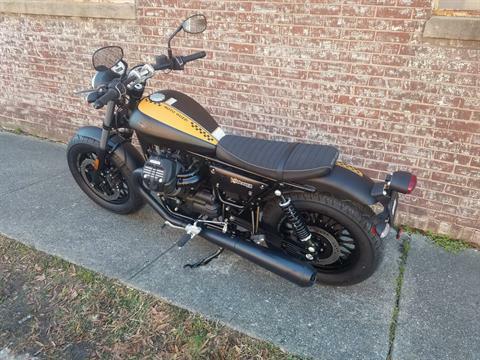 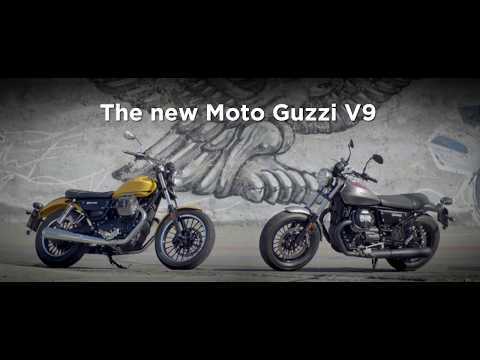 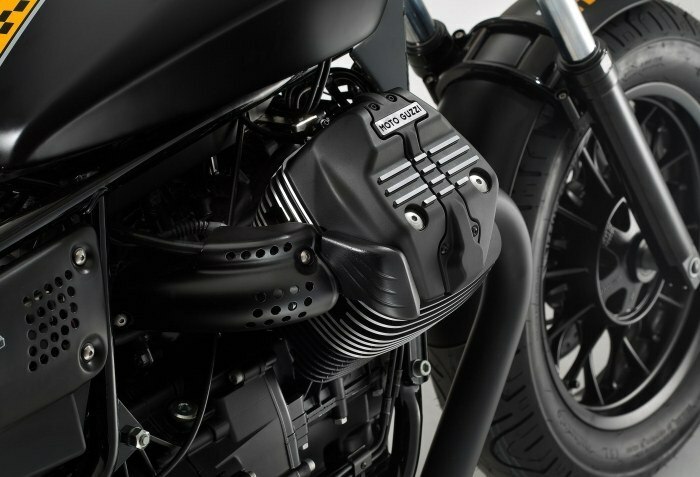 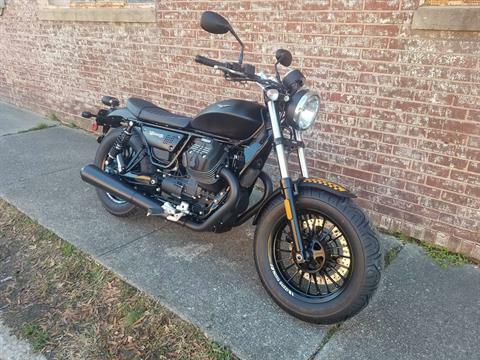 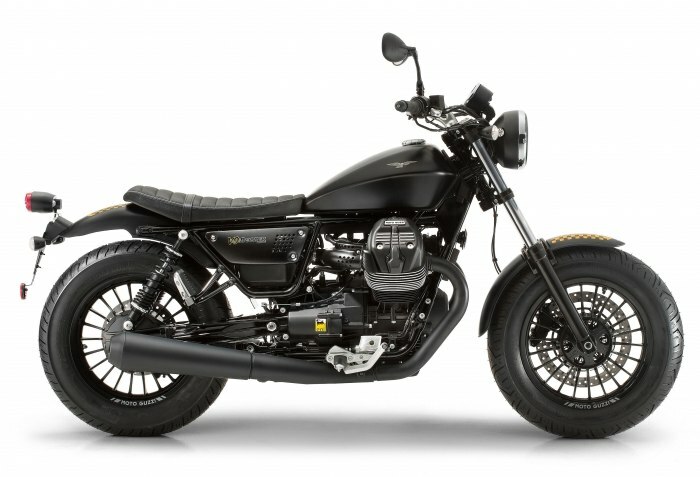 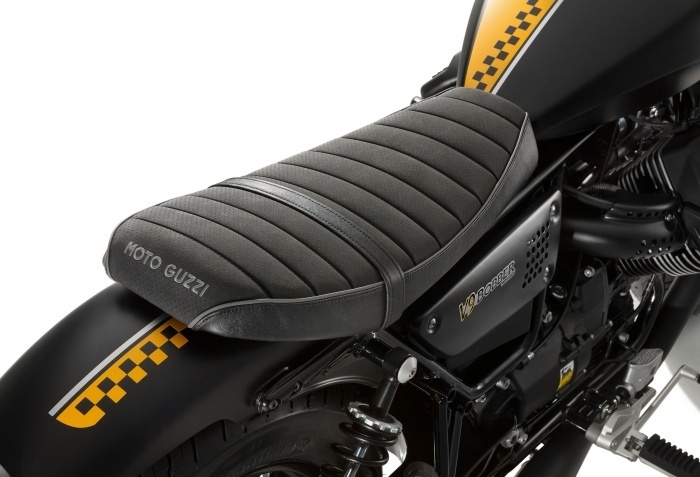 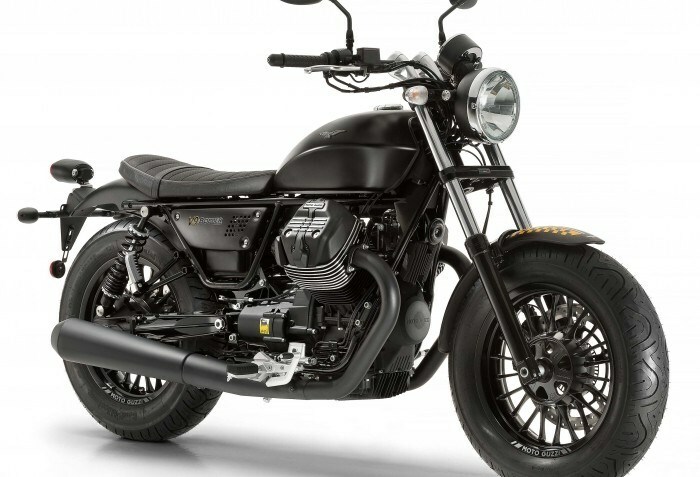 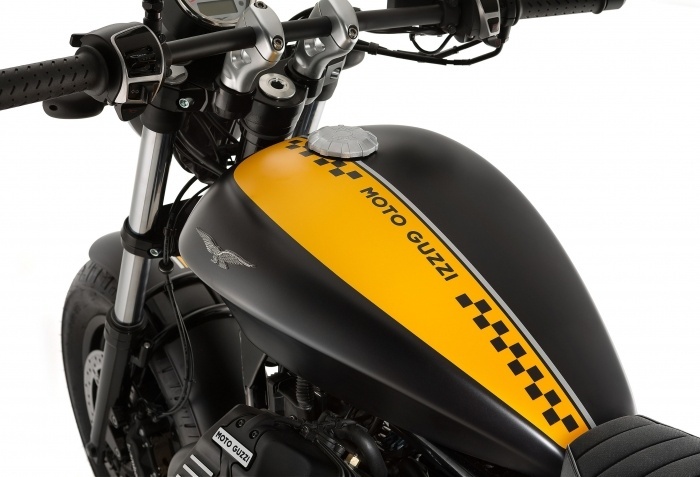 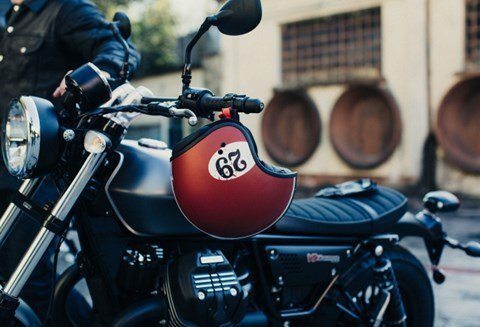 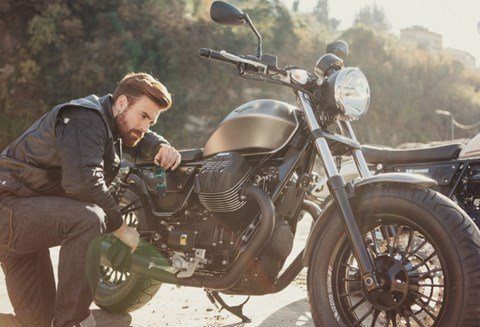 Moto Guzzi's custom sports bike effectively creates the mid-size bobber series segment, in which the V9 ? 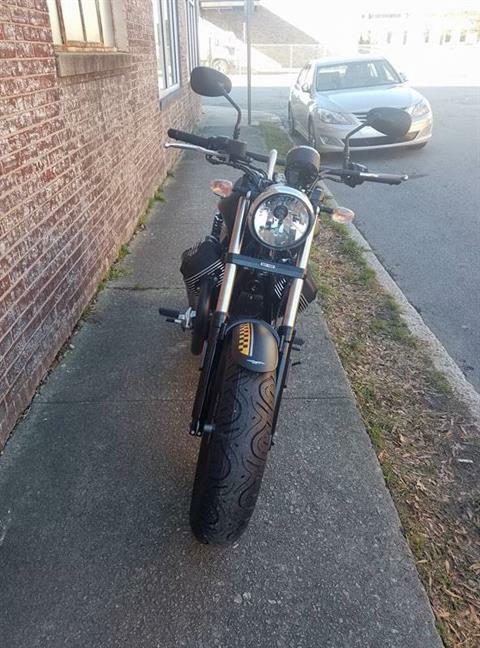 ?is currently the only representative. Bobbers appeared in the United States after World War II, created by passionate riders who stripped away all details superfluous to their goal of running fast on dirt tracks. 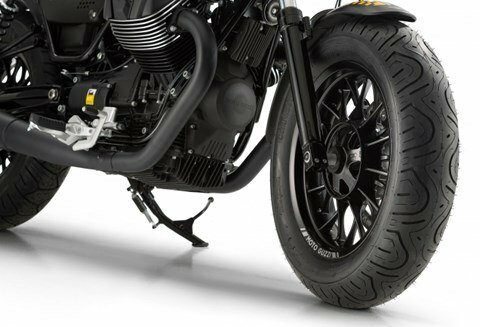 To compete in these conditions the riders used to mount oversized tires, giving the bikes a wide footprint. Front - 130/90 - 16 in. 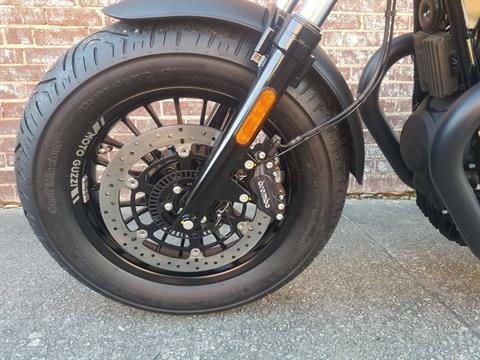 Rear - 150/80 B 16 in.